Two unusual wrestling attractions are scheduled for to-night at the Grand Central Palace, Forty-third Street and Lexington Avenue. 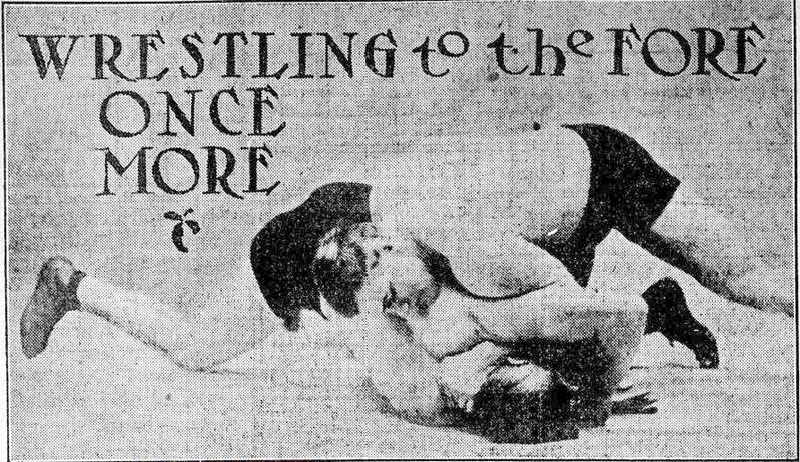 John Piening, the “Butcher Boy,” who is conceded to be the cleverest Graeco-Roman wrestler in America, and Fred Beell, the best light heavyweight in the West, will meet in a match at mixed styles and the struggle is to be to a finish. Beell is an aggressive wrestler, and while Piening is the favorite he will undoubtedly be compelled to use every trick at his command to win. The other encounter will bring together Harvey Parker, the “Little Demon,” and George Bothner, who many good judges believe will defeat the lightweight champion. Higashi Says Tricky Methods Were Used In Match with Bothner. Prof. Higashi and George Bothner to Meet in Match to Finish. Victory Over Miyake His Last Bout–Defeated Many Champions. Wrestling Bout Between Bothner and Irslinger Is Halted. Irslinger Tries Hard, but Loses in Wrestling Match.